Designed for Swim Spa or Pools less than 15,000 gallons. Like the SmarterSpa the MegaChlor MD doesn't operate on a timed cycle like all other salt chlorine generators. 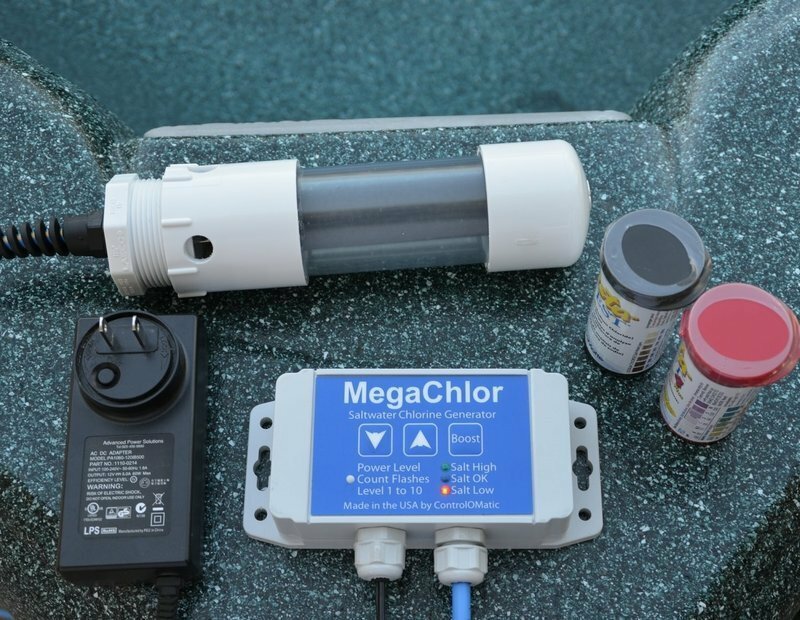 MegaChlor MD is the only salt chlorine generator in the world with chlorine detection built into the cell. Traditional salt systems turn on at a fixed cycle which is called the power level, they turn of if they need to or not. The MegaChlor MD measures the chlorine, and when it needs more will start a chlorine generation cycle. Even if you set the chlorine production to maximum, it will not over-chlorinate your pool.